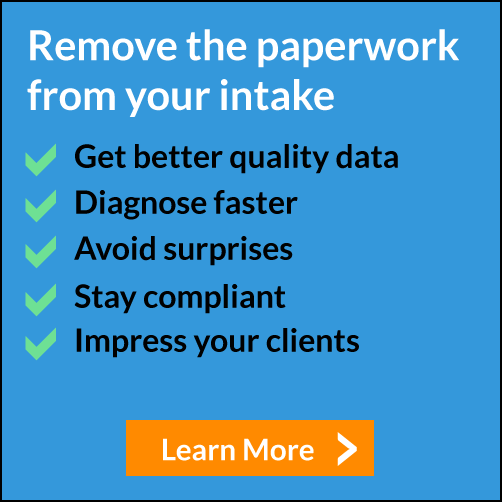 Intake forms are essential to providing excellent patient care, but are you making one of these common mistakes? Health journaling is on the rise, and it’s easy to see why. Plus, using it to gain insight into your patients’ daily lives is beneficial to you and your practice. Cold and flu season is here—read this to find out how to keep your waiting room free of germs. Mixing social media with healthcare can feel risky, but these platforms can be helpful to the growth of your practice. In a digital world, patients are worried that their personal data security could be compromised. Read on to learn how to help ease fears.